CANBERRA, Australia, June 3, 2011 (ENS) – Freshwater ecosystems in Australia’s beloved Kakadu National Park are vulnerable to climate change, finds a new report issued by the Australian government as support for its plan to put a price on carbon emissions later this year. A UNESCO World Heritage site located in the Alligator Rivers Region on Australian’s northern coast, Kakadu has been continuously inhabited by the Bininj aboriginal people for at least 60,000 years. 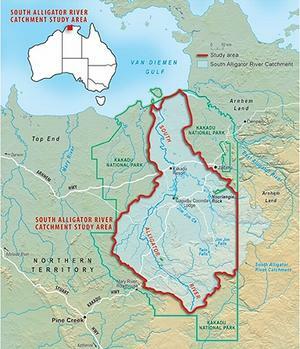 The report modeled the impacts of sea level rise on Kakadu’s South Alligator River system for 2030 and 2070. This river system is recognized as a Wetland of International Importance under the Ramsar Convention. Saltwater intrusion would reduce the extent of freshwater vegetation, monsoon rainforest and woodlands, cause a decline in the abundance of crocodiles, geese and turtles in freshwater habitats and cause a decline in the abundance of crabs and fish in estuarine habitats, the research shows. “This report talks about the results that climate change can have on Kakadu, the real risks for Kakadu from climate change,” Prime Minister Julia Gillard said Thursday at a news conference held to launch the report. “It talks particularly about the risks that flow from rising sea levels, more salt water getting into the fresh water systems in Kakadu, changing the nature of the ecology, being a real risk for the native animals that live there, being a real risk for indigenous communities that still rely on this ecosystem for their bush tucker, and being a real risk for the tourism industry as parts of Kakadu would become inaccessible for parts of the year due to higher water levels,” she said. 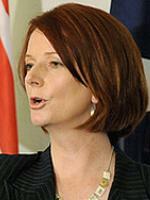 Gillard said the report supports her government’s disputed move to put a price on carbon emissions this year to curb the planet’s rising temperature. 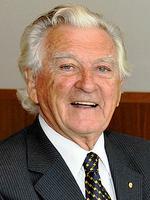 Gillard invited Hawke to speak because he faced similar objections from industry and opposition political parties in 1991 when the Hawke Labor Government protected a large area of Kakadu by ending mining at Coronation Hill. “And here we stand 20 years later, and we’re in the midst of another fear campaign by the Liberal Party and the National Party. And they’re trying to tell Australians that if we put a price on carbon that’ll be the end of our economy, it’ll be the end of mining, it’ll be the end of life as we know it. And of course this fear campaign is as silly as the fear campaign that Prime Minister Bob Hawke stared down 20 years ago,” said Gillard. “I don’t think people should assume the carbon tax is going to become law. I know the Greens are pushing the Government desperately to bring the carbon tax in, but there are lots of Labor members of parliament with manufacturing industry in their seats, with coal mining in their seats who are very concerned,” said Abbott. Environmental groups are organizing a nationwide demonstration on Saturday in support of putting a price on carbon emissions. “There has never been a more important moment than now to come together. On June 5, if enough of us act, we’ll change the debate over a carbon price from fear mongering over the cost of action, to awareness raising about the possibility of a clean energy future,” the ACF said. Demonstrators will gather in every major city from Sydney to Canberra to Perth and also plan to attend a virtual demonstration on Facebook. 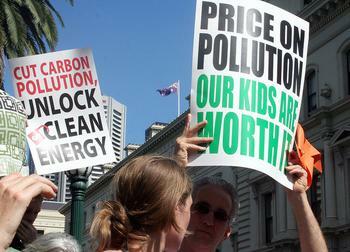 This is just the latest in a series of demonstrations on both sides of the carbon price issue. 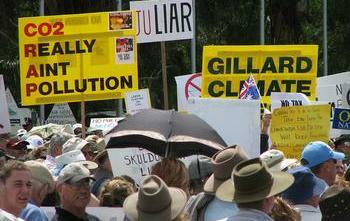 Opponents say when campaigning for election in 2010, Gillard promised there would be no carbon tax but now has reversed her position and plans a price on carbon, which they call a tax. Opponents say a price on carbon will do nothing to avert climate change and will damage Australia’s standard of living and economy. 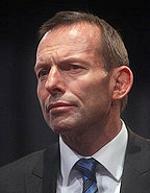 In February, Opposition Leader Tony Abbott called Gillard’s announcement of a carbon price a “betrayal of the Australian people” and predicted a “people’s revolt” in response. 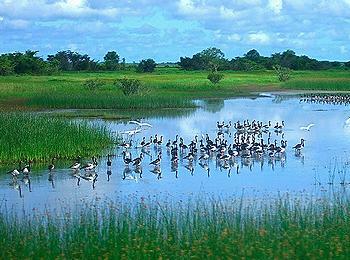 The report, “Kakadu – Vulnerability to Climate Change Impacts,” was prepared by the engineering and environmental consulting firm BMT WBM Pty Ltd with input from Melaleuca Enterprises, Coastal Zone Management Pty Ltd and Jacqueline Robinson under contract to the Australian Government Department of Climate Change and Energy Efficiency.